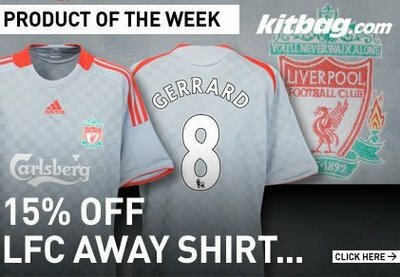 £5 Hero Printing at Kitbag.com- Plus Free Delivery*! Support your team in the Premier League, Follow Europe’s Elite in La Liga, Serie A, SPL and more this weekend and until midday Monday 20th September get your favourite players name and number on the back of your shirt for just £5! 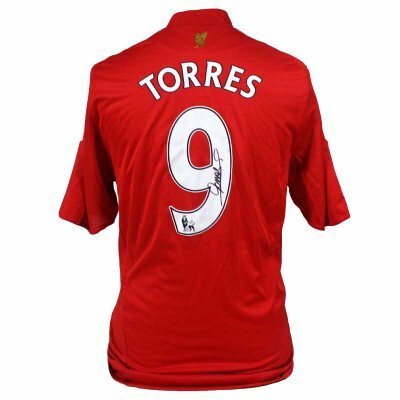 This includes the latest shirts from Manchester United, Chelsea, Liverpool, Arsenal, Real Madrid, Barcelona, Celtic and more. Click Here to see the full range and get your shirt delivered direct to your door for FREE*. *Minimum spend £30 for free Standard UK delivery. Must end midday Monday 20th September. Want to be seen on the football pitch? Then these are the boots for you! The Nike Mercurial Vapor IV boot features Nike’s innovative Speed Plate technology designed to give players instant acceleration and make them fastest to the ball. 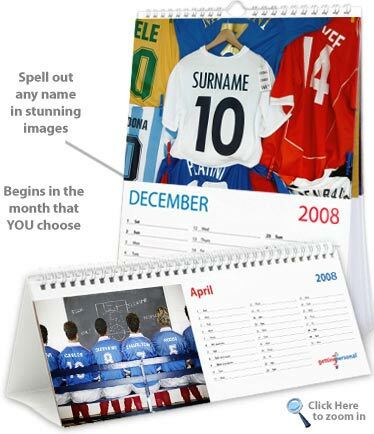 This fantastic brand new personalised calendar starts in ANY Month you choose. and runs for a full 12 months. You simply give the name you want to appear and they create 12 amazing football photographs which are cleverly personalised with your chosen name.